Gain insight into handling difficult people; Discover the keys to popularity; How young people can look for a job; & What employers want in their employees. Really good! Concise but interesting and applicable! Can't get enough of this amazing book. Got in physical form, cassette and disk and now on my mobile. Thank you! Another great book that has made me realize so much. I have never thought this this was but I definitely agree that we all strive for attention and we sometimes try to talk only about ourselves. I really can relate and I have learned i love this book for teaching me so much in less than an hour. 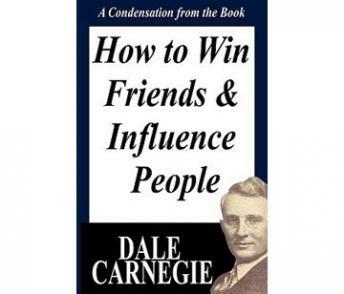 This book was originally published many decade ago, but it taught me that the principal of effective communication is still works Universally, especially in the Western culture. A great condensation! No need for a longer take on the material - all the essential elements from the unabridged text are covered. Good narration, too. Totally worth the credit. A very powerful self help/personal development book that will benefit your networking skills as well. I plan to listen to this periodically as a refresher because the repetition is good for setting the belief! Highly recommended! Very informative, wish I heard about this book earlier !